Frankly speaking, it is so boring to write about a press-conference. The reason being that these events are quite specific by nature and occasionally poorly organized (or, held in a similar fashion). The HTC press-conference that took place on October, 4 fits this mold. The company rolled out three new models and one of them already spent some time in the spotlight over at Mobile-Review.com. As you might remember, it was the HTC Touch Dual – another step forward in the Touch series, which carries on the heritage the original device. No new details concerning the phone were unleashed at the conference, however. 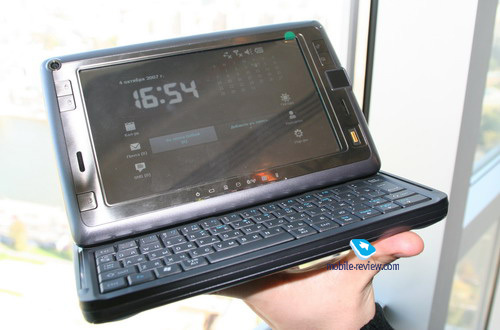 We can only add that on Russian market the Touch Dual will go for about 90-120 USD more than the HTC Touch. Our hands-on impressions are available here. The company officials also spoke on the general plans for HTC’s further development. It was noted that in the near term the company was going to stick to the same course and keep releasing new devices running solely on Windows Mobile. Meanwhile the HTC representatives mentioned that the company already had production facilities and all essential resources to get involved with other platforms; however it didn’t want to decentralize its efforts. 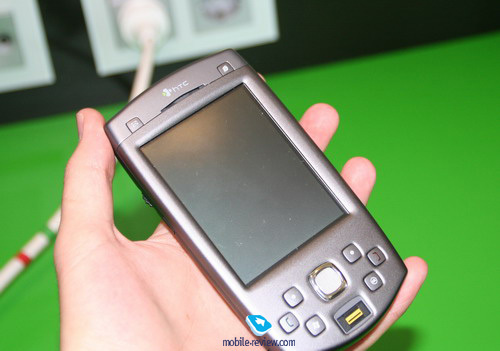 When asked to comment on the rumors on the collaboration between HTC and Sony Ericsson, they told everyone to direct all questions to SE (the explanation – HTC doesn’t comment on rumors). Since it feels like an invasive and wary answer, this will only heat up the hype around this matter. We suppose you shouldn’t expect the company to make any solid steps in creation of unique offerings both design- and functionality-wise any time soon. This, however, shouldn’t come as a major surprise – over the time span HTC’s own brand has been on the market, we have seen a bunch of experimental products. 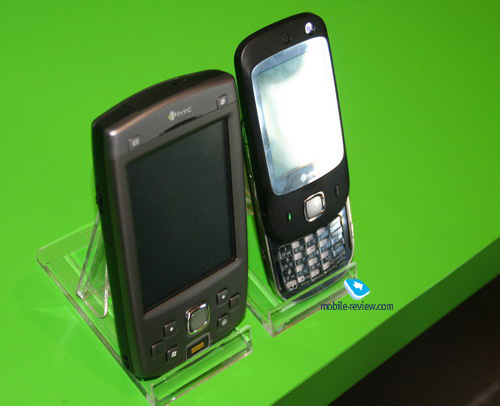 The company has been into offbeat solutions, shaping its products line this way, and earning its reputation for recognizable and in many respects controversial models, such as the HTC TyTN, HTC S 710 and the first Touch-branded communicator. The company meets the end of 2007 with an impressive stock of various models, each of which is already known in one way or another. In light of this fact, the quiet way of development seems to be a more logical strategy for 2008. Certainly, HTC will continue rolling out original solutions, but it will focus mainly on support and production of the already existing line-ups, which is indicated by the releases of the HTC Touch Dual communicator, continuing the touch-phone series and the revamped version of the TyTN. The HTC Shift, in its turn, consistently develops the concept driving the HTC Advantage – a mobile powerhouse with usability and ergonomics neglected. Let us look at the model presented at the press-conference that took place on October, 4. Extract from the press-release: the HTC Shift ushers in a new era in mobile computing as one of the first mobile computers globally to offer Microsoft Windows Vista and push email. Combining the power of Windows Vista with always-connected 3G/HSDPA connectivity, the HTC Shift delivers unparalleled functionality in a sleek, compact design. The HTC Shift is the first device to feature HTC's innovative new SnapVUE™ technology. SnapVUE provides instant access to emails, calendar, SMS messages and contacts. The model turns out to be quite controversial in many respects. 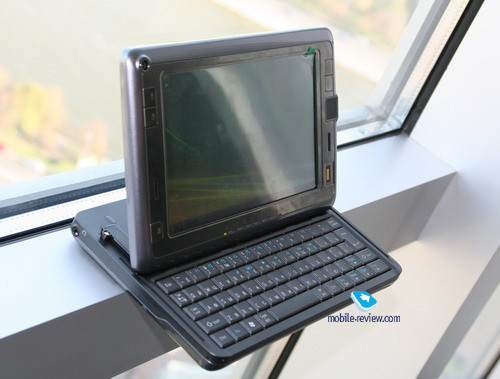 By and large, the HTC Shift stands somewhere between UMPC and sub-notebooks. It differs from both groups by combining two platforms, with two separate hardware modules powering them. 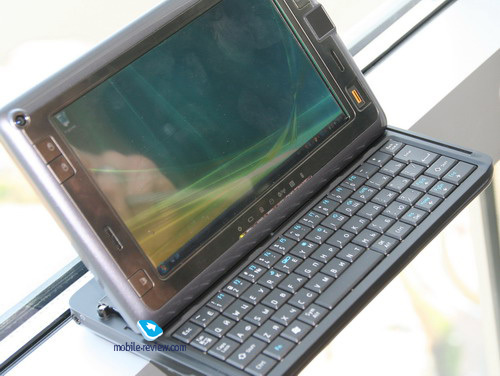 In the Windows Vista OS mode it runs on Intel 945GSM, 800 MHz CPU, 1 GB of memory and either 60 or 80 GB hard drive. The other mode has an original codename used within the company – HTC SnapVUE. Alongside VueFlo and TouchFLO technologies, the new one should become the highlight of the HTC Shift, which the company will be focusing on. The HTC SnapVUE technology is nothing but an add-on to Windows Mobile OS. Putting it simply, this OS features the core connectivity options and data transfer abilities. And with other elements being disabled in this mode, the HTC Shift appears to be a sub-notebook that can toggle into the power saving mode when the shrunk OS kicks in (which runs on Qualcomm’s platform, employed in the company’s latest and greatest models). The most frustrating thing about this model is the lack of calling features –GSM and UMTS networks are supported only as long as they are used for data transfer; VoIP telephony etc, which means the HTC Shift doesn’t support voice calls. The launch price will make around 2400-2500 USD, which isn’t really adequate, but it is still a bit too early to deem it an overkill. On the one hand, there are some more interesting laptop offerings available, but on the other side this is the first model delivering a cross between a full-fledged OS and a mobile operating system. 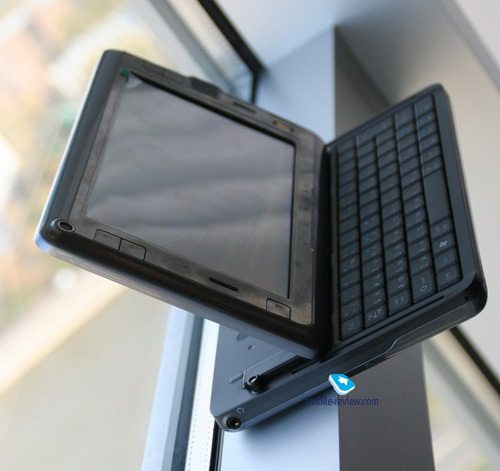 And, as you already know, the power consumption issue is what does hold back UMPC and sub-notebooks these days. Extract from press release: Designed for the enterprise market, the HTC P6500 is ideal for use in a range of vertical sectors, from logistics companies to hospitals and police forces. Incorporating a 3.5" screen, 3 mega pixel camera with auto focus and barcode and fingerprint scanning capabilities, it offers the ideal features to be overlaid with programmers tailored to meet the specific needs of each enterprise. This is a high-profile communicator targeted at the enterprise market, which deserves a glance for its looks in the first place – we are thrilled to test its shock resistance. Speaking of its technological talents, there are not many things to shout about, and, on top of that, the 3 MPix autofocus-enabled camera seems to be out of place in the P6500. The communicator is pretty bulky, and ships with a 3,5” display along with GPS. Also there are two SD memory expansion slots. We didn’t spot rugged parts of the casing during our short quality time with it, but we should better wait for a commercial unit to make our final judgment. 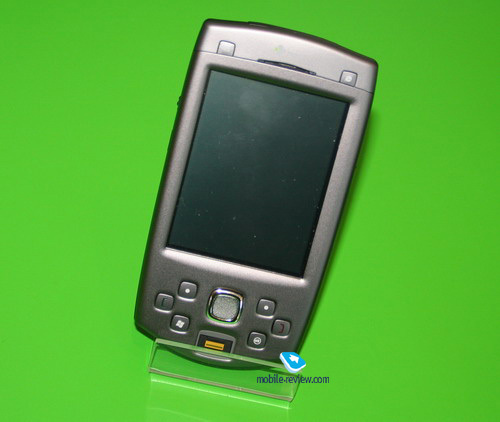 The HTC Touch Dual is a quite interesting, yet somewhat odd, communicator. While it is hard to say whether it will manage to make its way to the top of the charts, one thing is for sure – the name of “Touch” has already garnered some popularity, which was the thing HTC needed so badly to prove that it was headed in the right way. And even if the successor won’t be as much of a success as the original device, it is already obvious that HTC is moving in the right direction, since the devices with touch-sensitive display and no focus on functionality are now becoming all the rage.